I have a deep love for things that often go overlooked by some. A love I cannot explain. 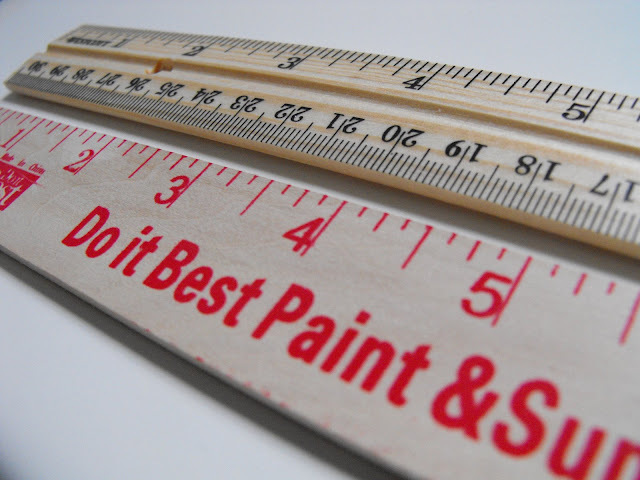 Take this yard stick for example...what may look like a ruler to some is just a piece of art awaiting it's birth. Old and worn...all the better! Now what does one do with yard sticks? I will share that later but first you must go and collect some of your own. The hunt is half the fun. You may try flea markets and yard sales for the good worn ones. If that's not possible,no worries! Try at your local paint store for some new ones. Walgreen had them on sale for .19 cents last week. I have not checked this week add, but I am sure there are some similar sales out there with back 2 school. I can't wait to gather some up and watch for your instructions! let's see if I can collect some of these. 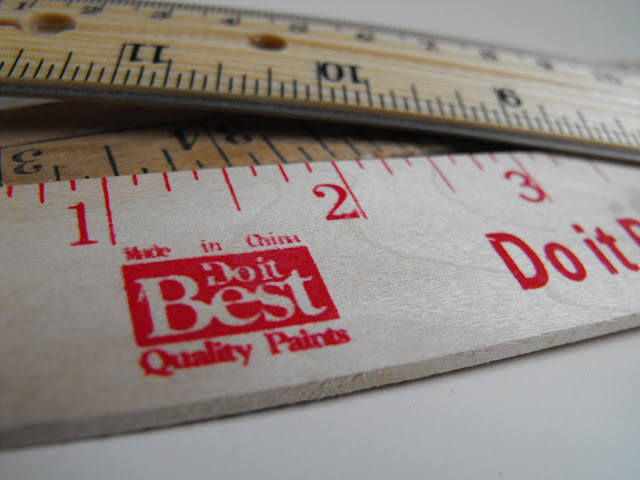 I love yardsticks - what are you doing with them? Can't wait to see. would it be terrible if we used antique yard sticks? You do have me curious....but then I expect creativity from you, my dear. Can't wait! how fun, I would love to come along with you on a little project. Consider my ruler eyes open. Oh, I can't wait to see this one. I, too, am anxiously awaiting! Love those old sticks! Oh my goodness I can't wait to see what you do with those! My mom used to have a lot of them. I never see them anywhere anymore! I've been curious to see what you are going to do with these. I'm officially on the hunt. Hey... Tell Jesse I wanta see that new truck of his...Call me at work tomm. 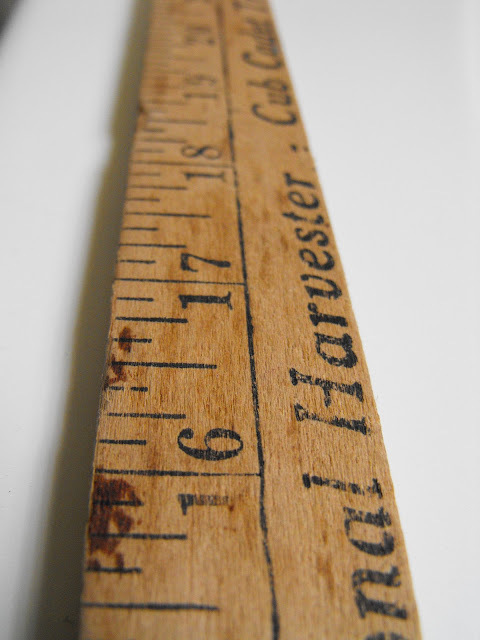 We just saw a big old crock chock full of yard sticks at an antique store over the weekend - but they were all kind of pricey - they were solid though - the really thick old advertisement type! My son wanted to buy them all for 'swords' but we reminded him that we had one at home! I'll just have to go back I guess! I'll dig through until I find some bargains! when do we need them by?? Thought of you today when I was flipping through the latest Pottery Barn Kids catalog. It had a room make over pictured in it. On the wall was a HUGE 7 day calendar that had the days divided by yard sticks! Too funny! I haven't checked their site to see if the picture is there. Can't wait to see what you do! A friend and I were JUST looking at some yesterday! But they were a little pricey. I'll see if I can find them cheap-o. Sounds like fun! 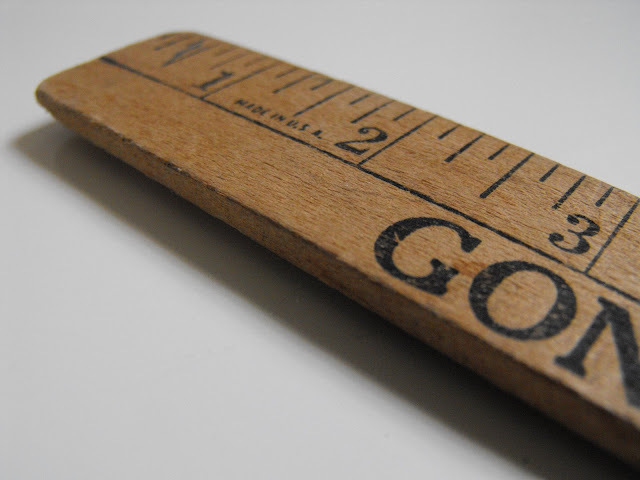 Love your old yard sticks.